A new line of Stormcast are coming, based more around established and societal models. We saw some the other day but here is one of the new cavalry! 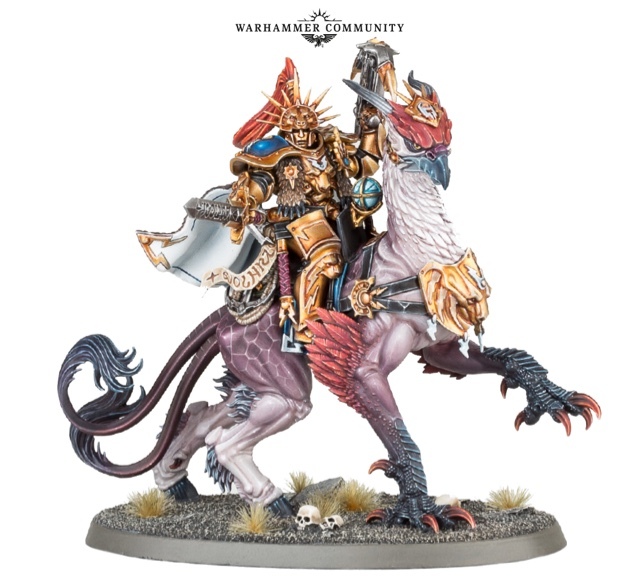 'Enter the Gryph-charger – a noble beast of the Celestial Realm and trusty mount to Sigmar’s Vanguard. The Gryph-charger is clearly of the same origin as Gryph-hounds, whether magical or biological, but of an order of magnitude larger. It stands taller than a Demigryph, though is less stockily built – looking sleeker and faster than the noble mounts of the Freeguild Knights. The Stormcast himself is wearing armour in keeping with the lighter sigmarite plate of the new Stormcast Eternals Rangers we saw on Monday, but more ornate. This hero is in fact a Lord-Aquilor, who are the leaders of this new breed of Stormcast Eternals. Damn they are looking fierce! But I'm really enjoying these new Vanguard style of Stormcast!!! A little bit more to them then just shiny armour.... next AOS project for sure! Completely agree. Great time for the hobby! Looking forward to seeing some Aelves! Hi, was just wondering if any content will be loaded again soon? I know you guys are all super busy with careers and then Warhammer, HH and AOS. But I was wondering how everyone was doing and of they have had good progress on perspective projects. Also wondering if you saw my email from a couple weeks back... I know you all have a lot on your plates. Any reviews about the new Battletome? We should have a whole bunch of content soon. 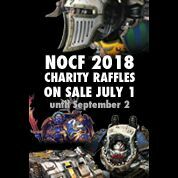 Blood Bowl league, some Silver Tower and WHQ updates and Aveinus is going to be starting on the new Squa- errr I mean Duardin kits as soon as he can. The AoS campaign is going on hold until such time as more races are released. Due to it being set in a 'Low Fantasy' setting, most of the current 'Fantasy' releases aren't suitable lol. Currently looking at the prospect of writing my own Warscrolls.